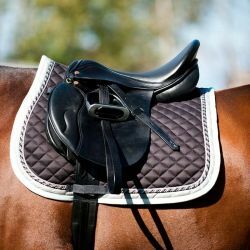 Saddle pad in the allround shape with extra relief atound the withers. Double cords in matching colours and a coordinated elegance. Velcro straps. Line with honeycombed cotton.